Korean figure skater Kim Yuna took a commanding lead after a solid short program in her much-anticipated return on Friday, starting her preparations for her Olympic title defense on a strong note. Kim scored 73.37 points to set the pace in the short program at the Golden Spin of Zagreb competition being held at Dom Sportova arena in the Croatian capital. 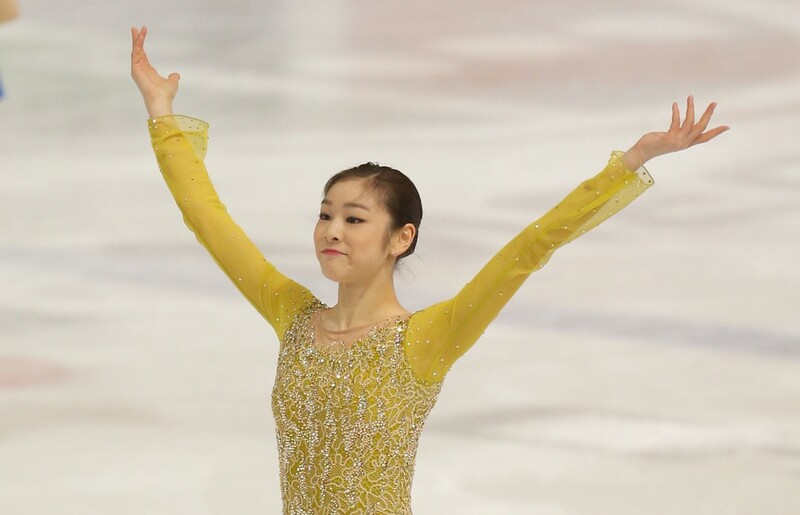 It wasn’t without flaws, however, as she landed a triple-triple combination to open her “Send in the Clowns” skate in a yellow dress and then added a triple flip before stepping out of her final jump, putting her hand on the ice on a double Axel. Still, she received the best short program score during the current season, topping the 73.18 points scored by Mao Asada of Japan in October. Japan’s Miki Ando finished second but was far behind with 62.81 points. Here is the video of the program.